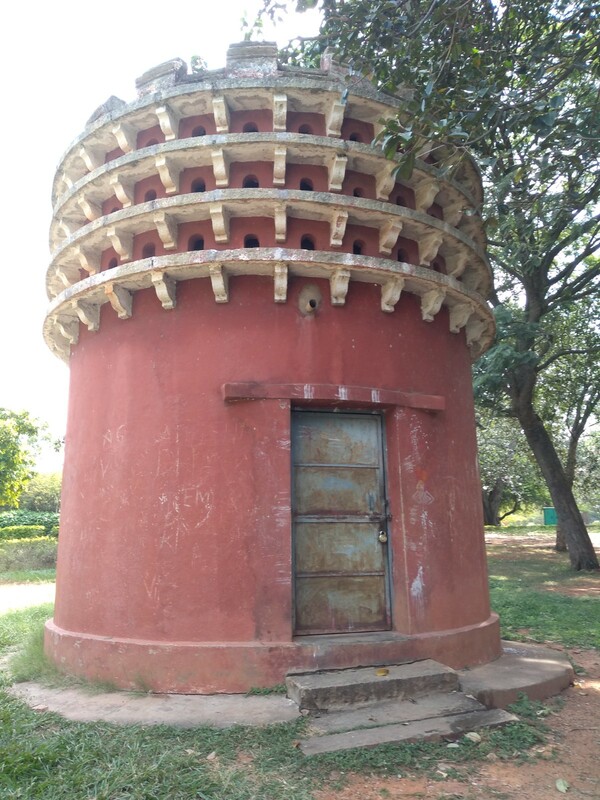 The exhibition prompted me to explore a bit about the colonial architecture in the country and here is what I found.. The Indian architectural scene had been rich and diverse even before the arrival of the European powers be it Portuguese, French, Dutch or the English in the country . 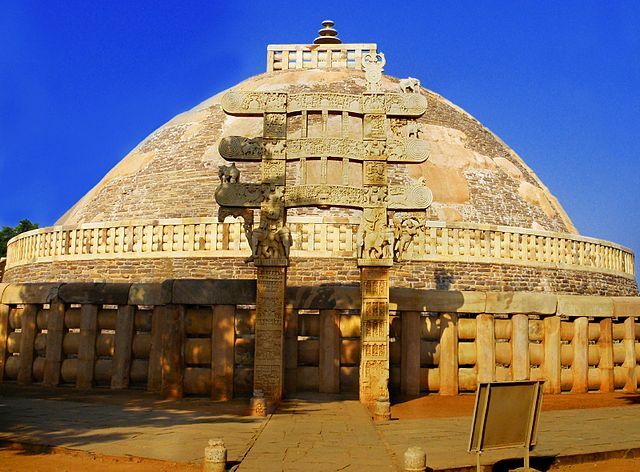 Just take a look at the ancient Indian architecture – Sanchi Stupa,Mahabodhi temple, cave temples …. 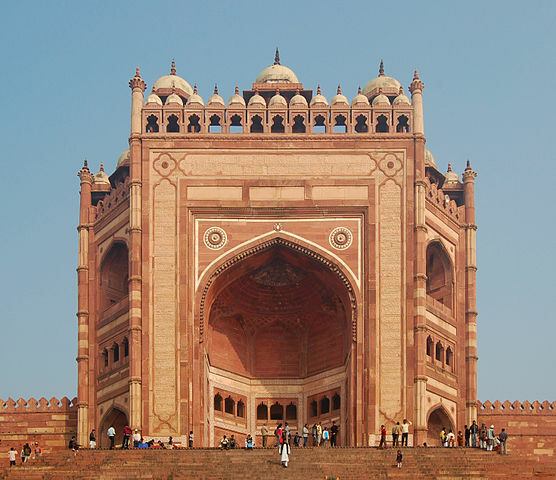 Or the medieval architecture that saw Mughal styled structures- Tajmahal, Fatehpur Sikiri to name a few. The foreigners who arrived initially came with the sole intention of trade. So these European powers began building ware houses, offices, churches in the beginning. 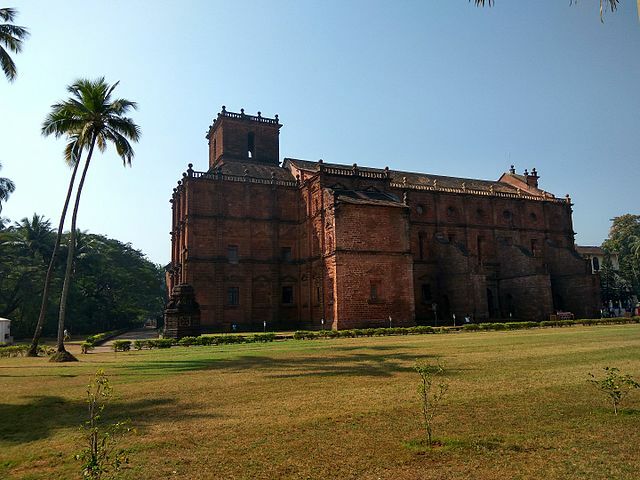 Their architecture styles especially churches predominately revolved around Roman, Gothic, French influences etc. 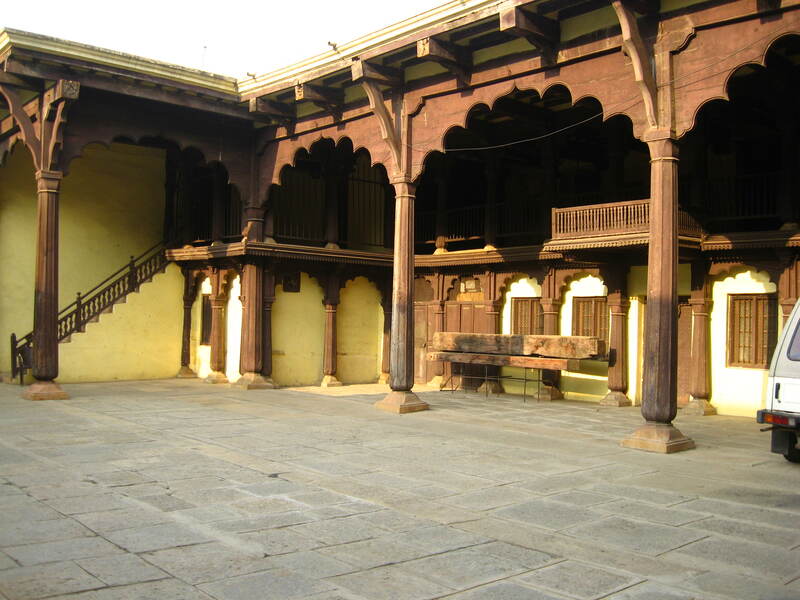 With the political dominance of English in the country there was a fusion of European architecture with Indian buildings. 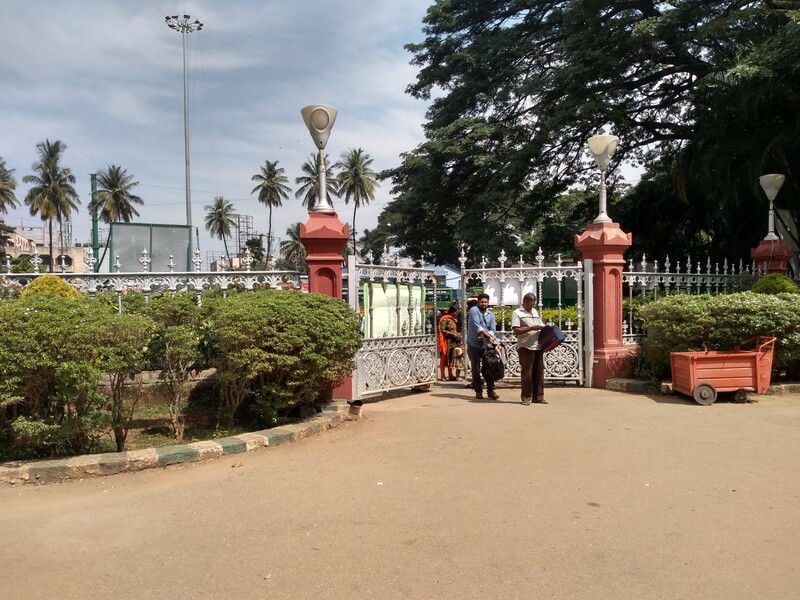 The initial structures were the barracks, residential buildings of the cantonments. There was a influence of local element too especially in the officers residences. The Bangla of Bengal was adapted to suit the tastes of the European officer and so it became the vast free standing Bungalows of today. Before the 1857 revolt the construction of colonial buildings depicted the imperial power of the English. The official structures be it the post office, police stations or administrative offices were modeled to showcase this aspect. Often they followed the European classic style or the Gothic style revealing the superiority of the buildings of the west. 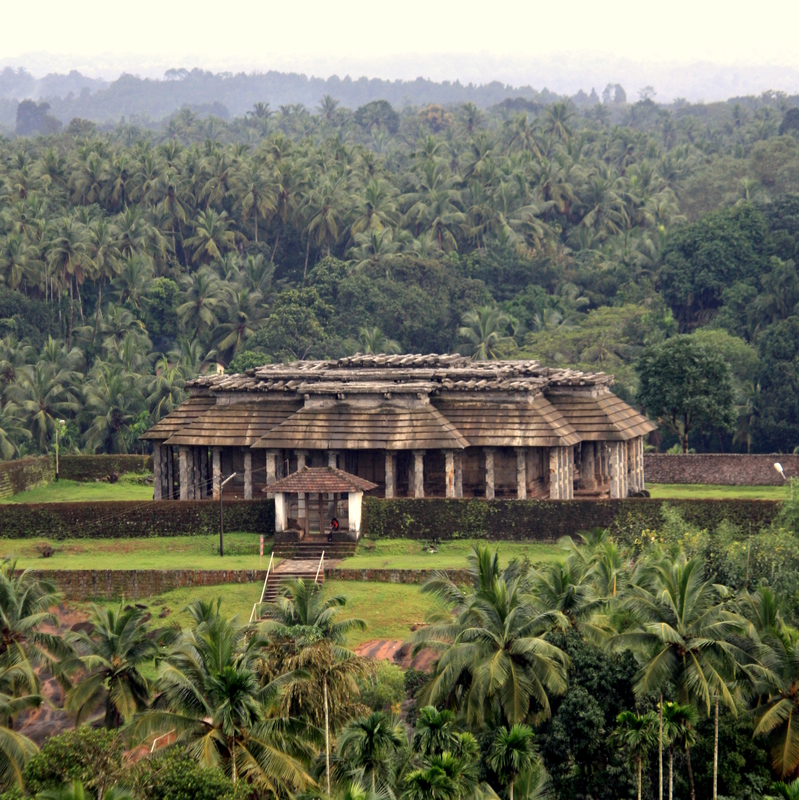 After the revolt the structures built were to showcase solidarity between the British and India. Thus European buildings now started adding Swadeshi elements. Thus the resultant style was often Indo- Saracenic found in most of the buildings in Chennai- Senate House, Courts, Post offices etc. Bombay however retained its Gothic style. Victoria Terminus is a fine example of this. With the shifting of capital to Delhi in 1911, the British focus was to showcase the imperial strength of their empire. 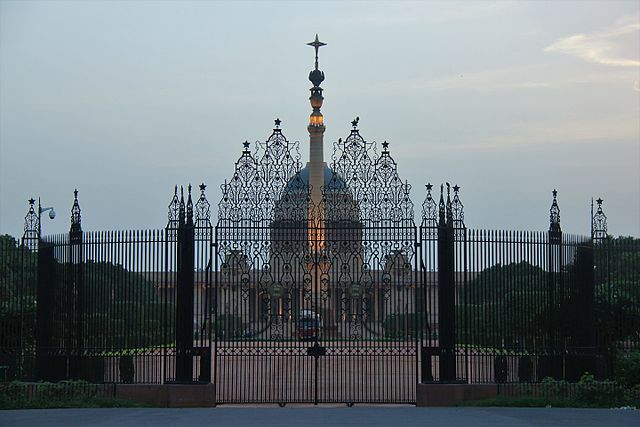 The planned city incorporated a fusion of styles- Mughal, Buddhist symbols… You can still see domes, arches,lotuses and symbols like Elephants in the buildings of the new capital. 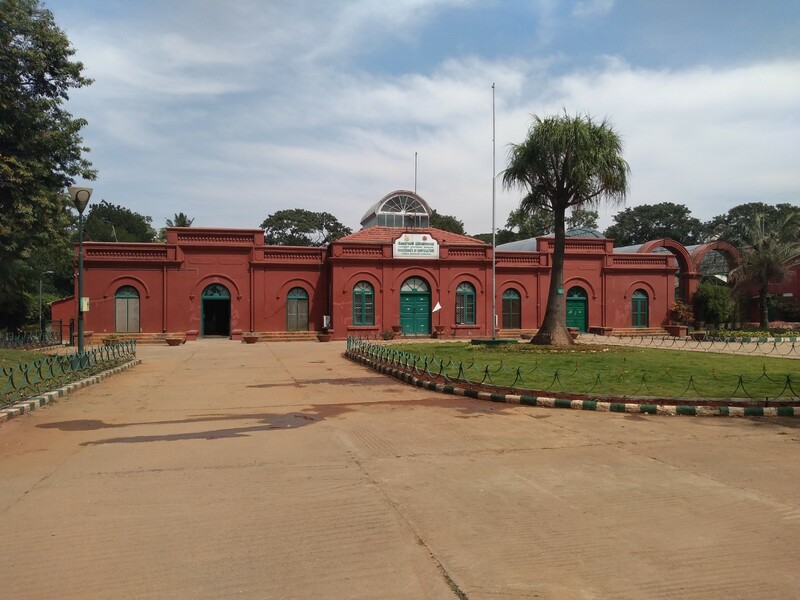 A glimpse of this type of building can be seen in many of the city’s strutures- prominent one being the Rastrapathi Bhavan. With the British leaving the country, these colonial structures remained in remembrance of their rule. Alongside these heritage structures mushroomed skyscrapers, apartments,corporate housing and the shiny glass and chrome buildings that we see today. Yet these yesteryear structures say many a tale of the days gone by. And these are the very stories that we explore in our British walks be it the Bungalow Walk or the Cathedral Walk in our city. Come join us to hear more of such interesting tales. 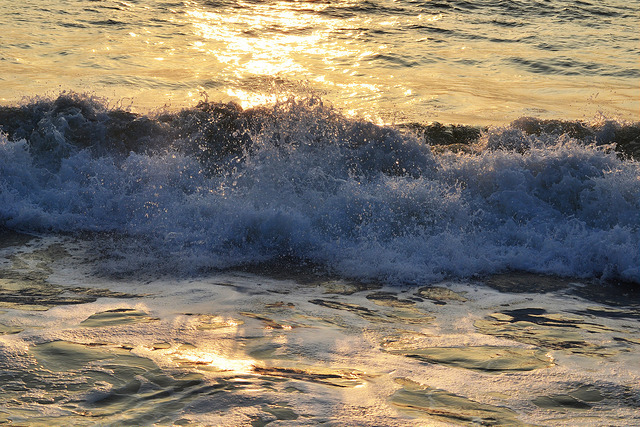 A sense of wonder envelops me when I gaze at these stones. 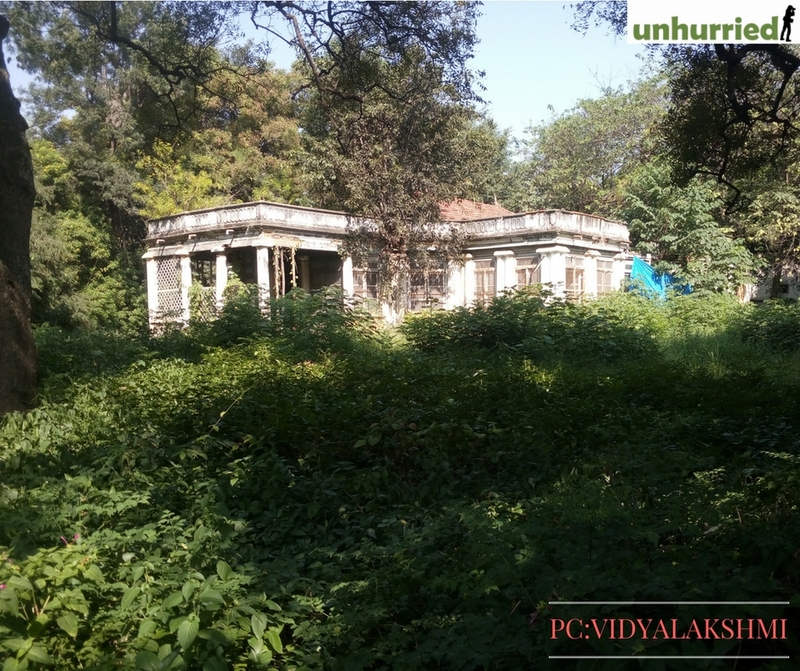 Lying neglected under the harsh sunlight at Cubbon Park, they tell a thousand stories of centuries gone by. No amount of dust and years can mar their value. These are the hero stones of yesteryear dedicated to brave men or women who laid down their lives while protecting others. Also known as Virrakal, these belong to a period between 3rd century BC-18th century AD. Such stones are common in Karnataka and have been found in Tumkur, Shimoga, Bangalore etc. They tell the story of the hero, the battle he fought, the cause of his death and ultimately his union with God. There are 3-4 panels sometimes more, on such stones depicting each event in detail. The bottom panel shows how a hero died. He is shown larger than the others and his cause of death can be understood from this. Bows, arrows, swords, soldiers, horses -a typical battle scene may be described here if the hero died during a battle defending women or livestock. The middle panel shows the hero being taken to heaven by the angels and the top layer shows him being one with God. Inscriptions could also be written sometimes on the stones, narrating the act of bravery done by the person. A hero stone could be dedicated to a man, woman or even an animal. 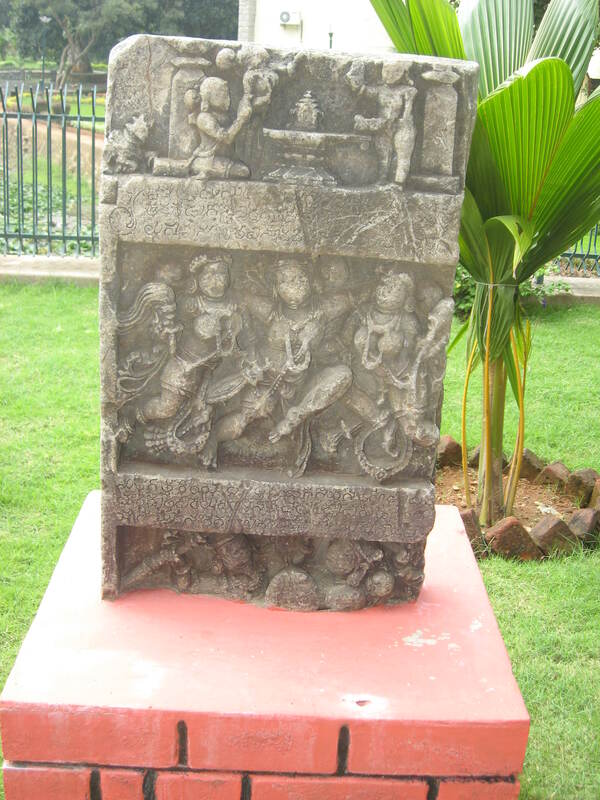 A hero stone for a hound that had killed 70 boars can be seen in Kolar district. The hero stones are of different types. Some are Sati Stones also known as Masti that tell the stories of women who immolate themselves on hearing their husband’s death. The widow enters the pyre either with her husband’s body or without. The widow is worshiped as a goddess thereafter and is shown with her right hand rising upwards conveying her blessings to all. 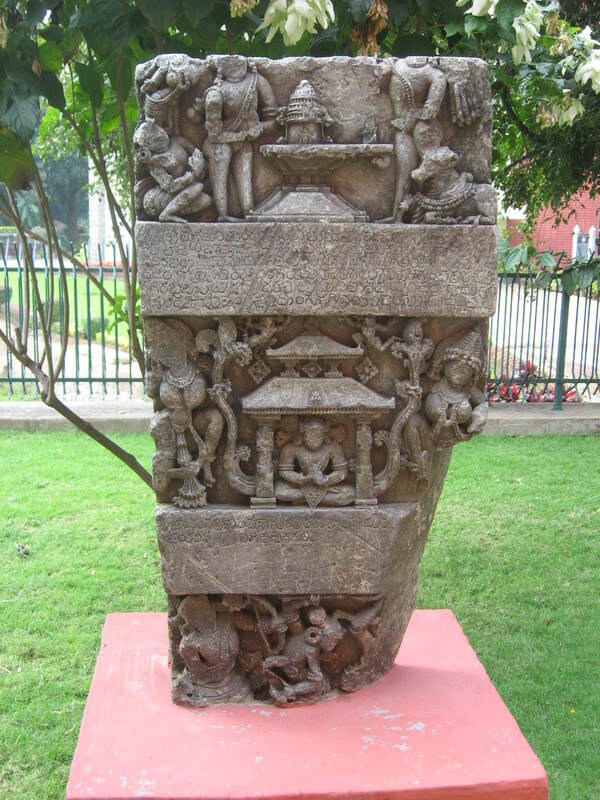 Some are religious like the Nisidi stones that depict Jains who have taken the last vow of Jains- the Sallekhana where they have voluntarily left the body by reducing food and water. The Pendirudeyurchu hero stone is where the hero died protecting women, the Turugol is where the warrior died defending cattle, the Gadi Kalaga is where the champion died defending border, forts or territories.. The bottom panel generally depicts these scenes in detail. The era of these stones may have long gone. Yet their heroic deeds, sacrifices cannot be put aside. Dead in any form should be respected and those who gave their lives should be honored, be that centuries may have passed. So the next time you see them, don’t just pass. Pause, take a look at the panels, show them to your kids. Let knowledge transfer happen so that these stones don’t bite the dust over time. If you wish to see these stones come for an Unhurried Walk with us. The walk schedule is put up here. 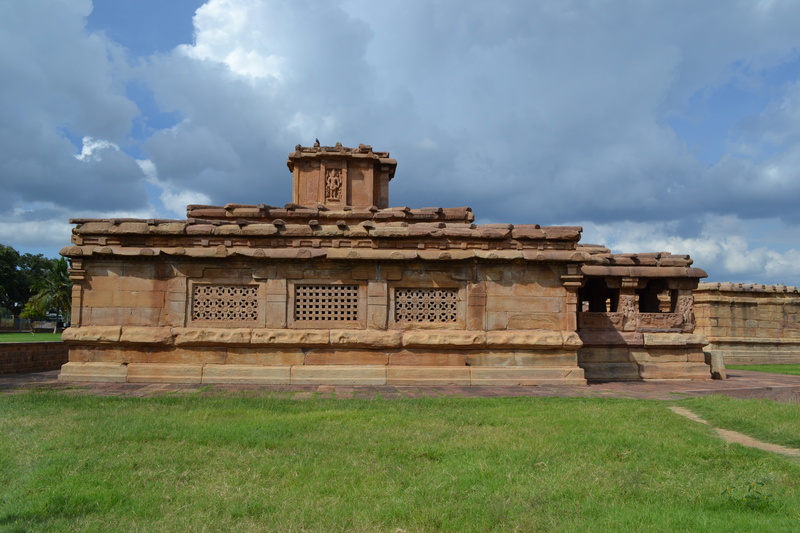 A visit to Aihole helps understand the Indian temple styles better. Here the writer details how. 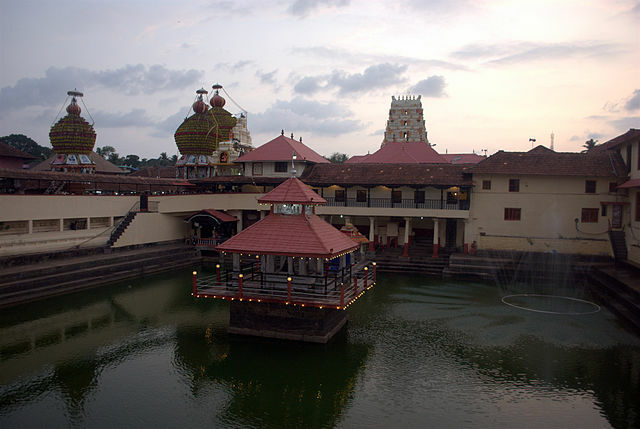 Belur,Halebidu draws millions of visitors each year. The stellar plan of temples, the lathe shaped pillars, the exquisite craftsmanship on temple walls, niches, the intricate motifs and yalis,the fine figurines of gods and goddesses-each inch of temple space has been effectively used and is a masterpiece in itself. But surprisingly I was not effected much, the reason being I could not comprehend the Hoysala architecture . But things changed when years later I got a chance to visit Aihole. 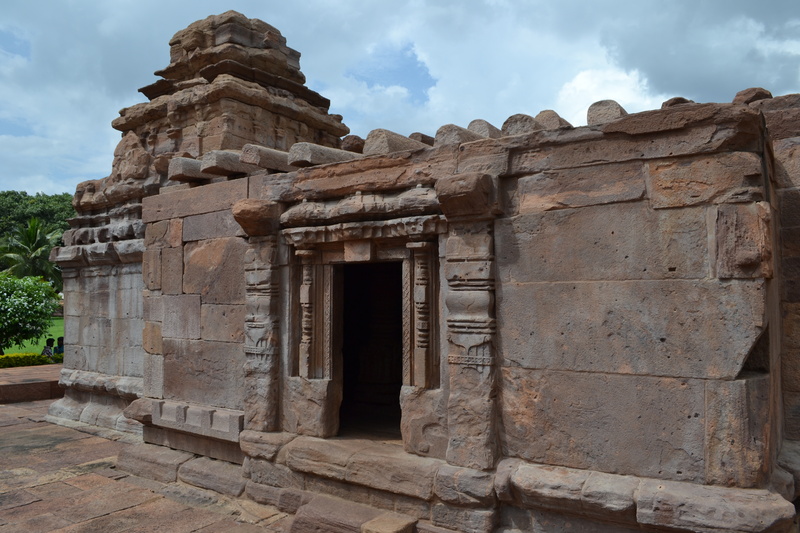 Hundreds of temples now most of it in ruins lie scattered at Aihole. 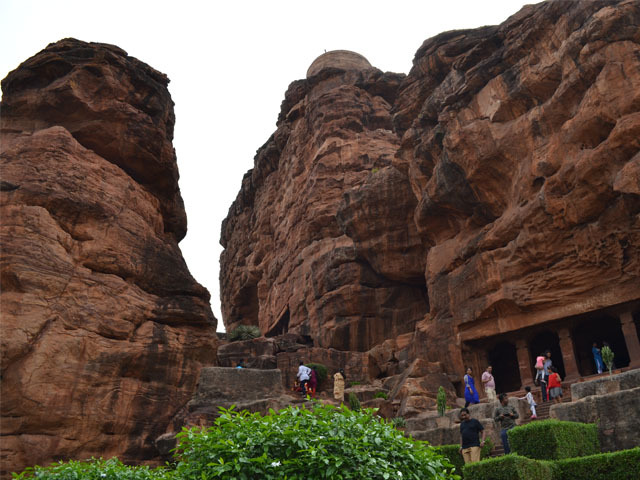 The sandstone structures were a beauty, most of it had no idols in the inner sanctum only the statue of Nandi-the bull that was looking forlorn without its beloved deity Shiva. 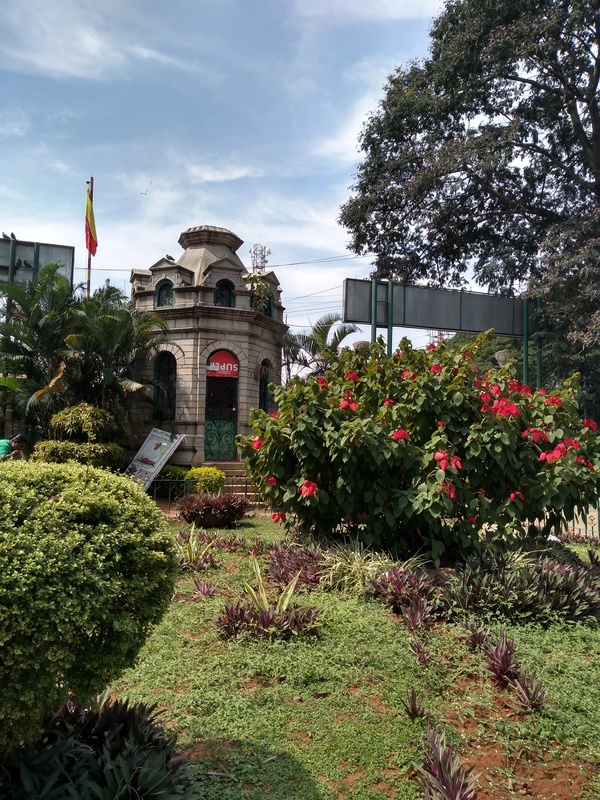 But the carvings on the walls, the latticed windows, the ornamental door frames, the peculiar designs on the ceilings, the massive pillars-these simple designs helped me understand the Hoysala styles better. There is a reason for that. Aihole was an important architectural center of the Chalukyan dynasty that ruled between 450-750 AD in South India.There are about 123 odd temples in this town-it was the playground for sculptures then, who were practicing their art and styles on these almond colored sand stones abundantly available all around the town. 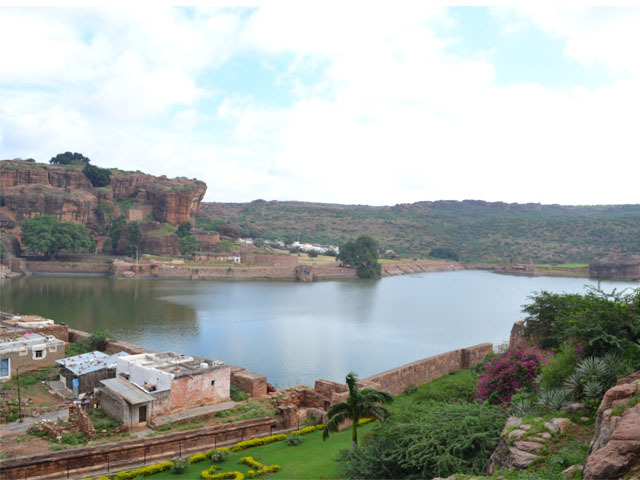 “Aihole is the primary school of art and architecture, Badami the secondary school while Pattadakal is college and Belur is PHD, madam,” said a grinning Basavappa, our guide. Ah.. that made sense because I was able to understand the layout better here and could draw comparisons to the fully evolved Belur-Halebidu architectural wonder. Take the temple layers for instance. The foundation layers, all beautifully sculptured look seamless at Halebidu temple. Though we sing praises of the motifs and patterns on each layer we seldom give a glance at the temple construction itself. We do not understand that these are layers of stone pilfered on top of each other and that it does not have mortar to bind them together. But this clarity comes when you see the prototype temples at Aihole.Each stone slab is placed one above the other and iron rods keep them in place. There are holes drilled in each slab and a rod inserted that aligns the top and bottom slab. Fascinating isn’t it? Now you know the effort that goes in to placing these slabs and you start questioning how in the world did they bring these slabs or place them on top without crane, some 1000 years back? Consider another example, the pillars. At the 8th century Cottage temple at Aihole, so named because of the roof type, each pillar was an amalgamation of five stones put together as one. You could make out the base, the square or circular cylinders and other stone structures placed on top of one another to form each pillar of the temple. In Hoysala this distinction is difficult to make out. They may not be all monolithic and two or more structures may have been placed to make up one pillar. Yet the techniques are sophisticated and only a keen observer can make out the distinct structures. You learn more styles and techniques as you go around looking at the various temple complexes at Aihole. 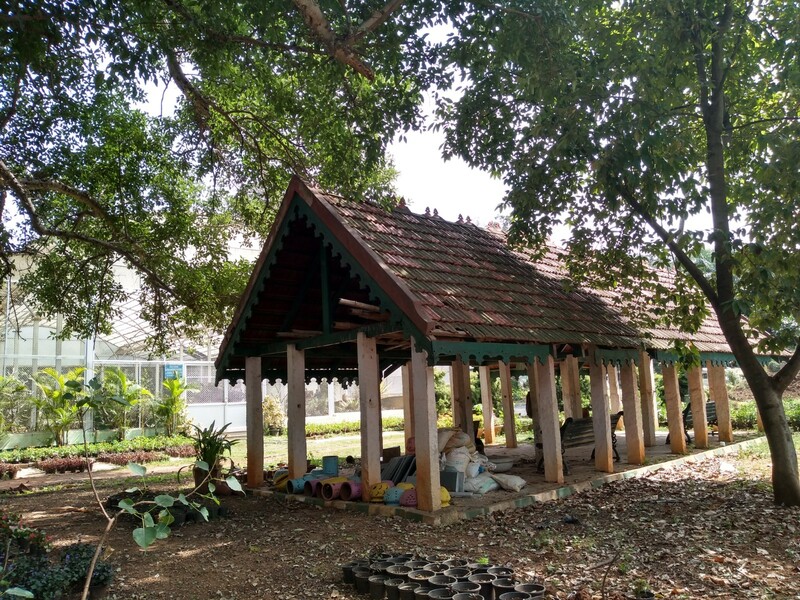 Looking at the various Shikaras of temple you understand how the North Indian(Aryan style), the South Indian(Dravidian) and the Vesara styles(a mix of both Aryan and Dravidian styles) differ. And the understanding that comes, helps you appreciate the advanced Hoysala architecture better. So if you have the time and inclination go visit Aihole . Some of the temples worthy of visit are the Durga temple, Ladkhan temple, Gowdar temple, Ravanaphadi cave etc. You will truly appreciate the work, effort and skills that has gone behind building these great temples. 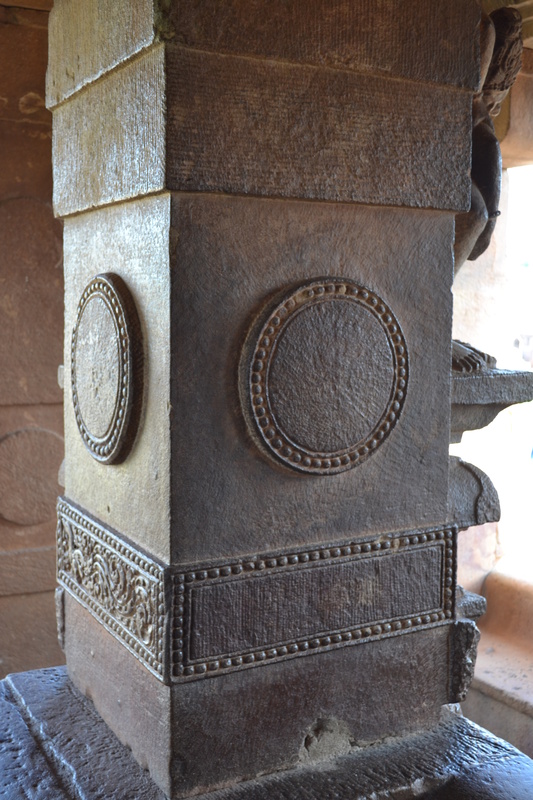 Things become simplified here at Aihole- rightly called the Cradle of Indian Architecture.